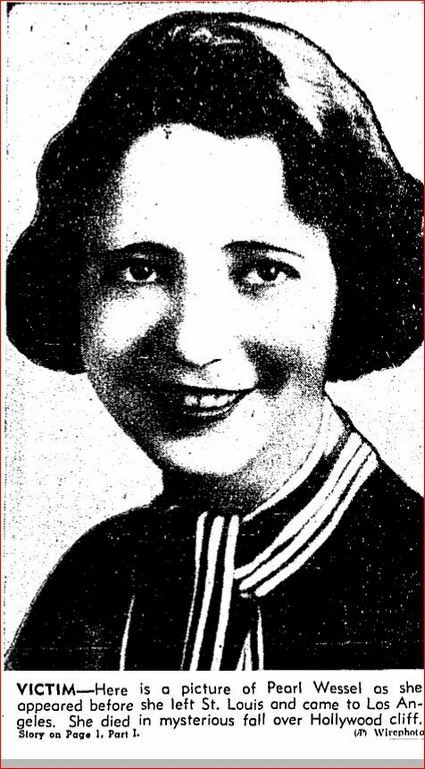 Illinois native Pearl Wessel moved to Los Angeles for the first time in 1928. Whatever dreams brought her here died with her on April 2, 1940 at the bottom of a 60 foot cliff in the Hollywood hills. 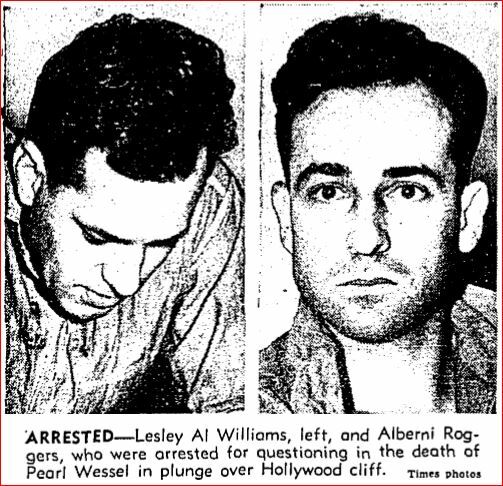 LAPD arrested two men for Pearl’s death, Lesley Al Williams and Alberni Roggers. Neither of them would admit to knowing Pearl, let alone having anything to do with her death. The problem for Lesley was that a witness had taken down the license plate number of the car that drove away after Pearl went over the cliff–and the number matched the car registered to Lesley.A description of Pearl went out to local eateries and bars in an effort to find out where, and with whom, she had spent her time on the day of her death. William J. Moran, a bartender in a place at 608 S. Western Avenue said he was sure Pearl had been drinking in his bar with two men. He didn’t know the men, but felt he could identify them. 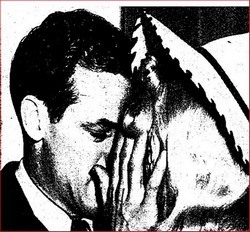 LAPD detectives gave William the opportunity to be a stand-up citizen by inviting him to attend a line-up in which the two suspects would participate. 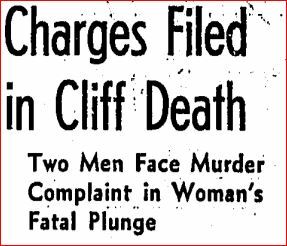 Once he had been identified by two witnesses, Leslie copped to having been with Pearl, but he still wouldn’t admit to responsibility for her death. He did, however, name the man who was actually with him. It wasn’t Alberni, it was a 32 year-old married salesman named Brydon Stockdale. Leslie’s statement was enough for police to issue a State-wide broadcast for his arrest. It didn’t take long for Brydon to be found. About two hours after the initial broadcast, he was taken into custody in Redlands by San Bernardino County Sheriff E.L. Shay. According to Shay, Brydon had been arrested as he stepped off a bus. LAPD Detective Lieutenants Fred Trosper and Emmett Jones left for Redlands immediately to return the suspect to Los Angeles for questioning. Only Alberni was given good news. Because it was determined that he had had nothing to do with the crime he was kicked loose from the County Jail. While Brydon was en route to Los Angeles, Lesley’s tongue loosened. He finally admitted that he and Brydon had been bar hopping with Pearl before they drove to Franklin Avenue. He steadfastly maintained that he had not pushed Pearl to her death. 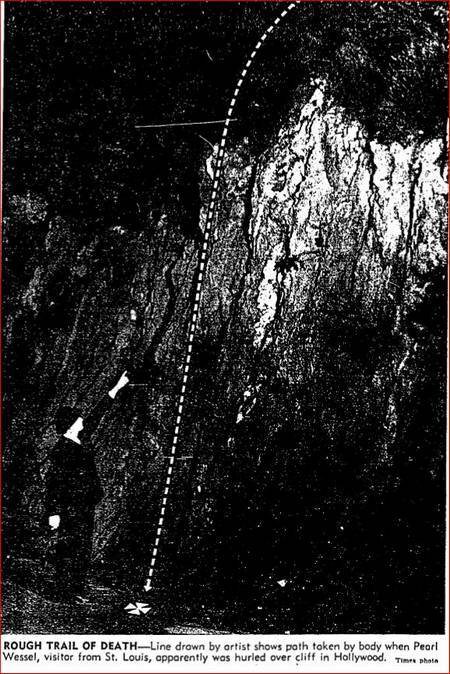 Leslie said that Pearl ran from the car and fell over the cliff. Of course his statement begs the question, why did Pearl feel she had to run? At the Coroner’s inquest Dr. Frank R. Webb, autopsy surgeon, testified that Pearl had died of a skull fracture and that her blood alcohol level was .22, enough for her to be intoxicated. Brydon took the stand and gave his account of the night Pearl died. He said that he had met Leslie, whom he had known prior to that night, and Pearl, in a bar on S. Western. When he and Leslfey decided to leave, Pearl accompanied them. “They were having a drunken argument about something and the door, facing the embankment, was open. I told them we were going to get out of there. Then the girl leaped out and started stumbling toward what I thought was a trail. Williams started to drive away. I protested, saying we ought not to leave the woman there. He drove off anyway.” Brydon stepped down from the witness stand and his wife Mildred walked over to him and wrapped her arms around him–then the two of them burst into tears. Brydon and his wife embrace. Lesley stood trial alone for Pearl’s murder. On June 19, 1940 the jury deadlocked 10 to 2 in favor of acquittal and was discharged. It was reported that Lesley would be retried, but he never was. So, what really did happen on Franklin that night? Why was Pearl drinking in a bar on her own? It wasn’t typical behavior for a woman at that time. I get the impression that Pearl may have been lonely. Is that why she left the bar with two strangers? Even though Brydon claimed to be entirely innocent, and was subsequently freed, he was driving that night. Why did he drive to the lover’s lane on Franklin? Did he know it was there, or was he simply following Lesley’s directions? And when the car pulled into the dark and lonely spot, did Pearl and Lesley have an argument? Did she get out of the car in high dudgeon and run not knowing she was headed for a 60 foot cliff? Or were the events more sinister? Did one, or both, of the men intend to assault Pearl? Did Pearl realize she was in danger and panic? And did one or both of them push her over the cliff? In this case, as in so many, we are left with many more questions than answers. We’ll never know what transpired between Pearl, Lesley and Brydon, so it is difficult to determine whether or not justice was served. No matter how events played out that April night, the result was a tragedy for Pearl. 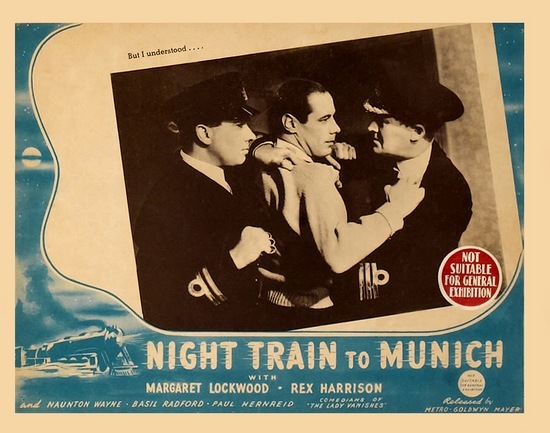 Today’s matinee feature is NIGHT TRAIN TO MUNICH . 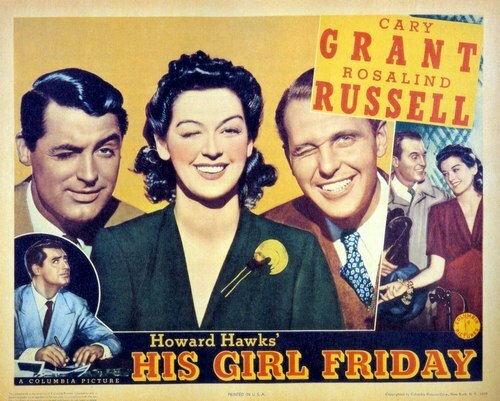 The film stars Margaret Lockwood and Rex Harrison. 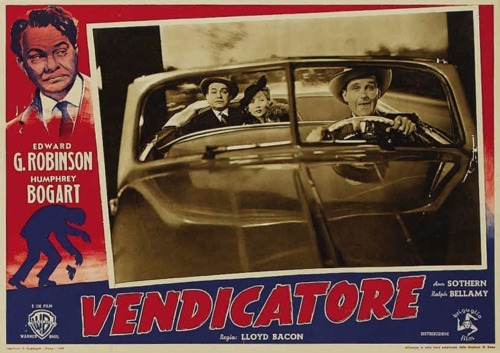 I’m stretching the noir definition with this film–but maybe not to the breaking point. One definition of film noir is that it is “a film marked by a mood of pessimism, fatalism, and menace”. 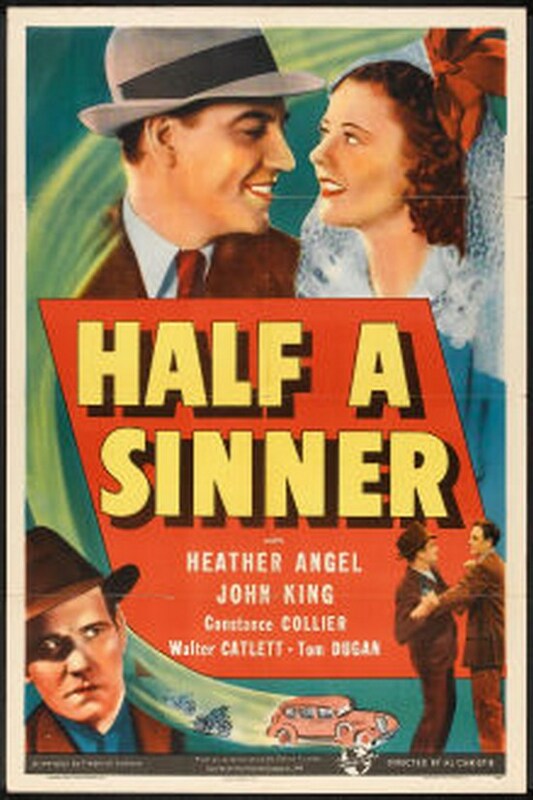 Certainly there are elements of noir in this war-time thriller. Has there ever been anything more more menacing than Nazis? 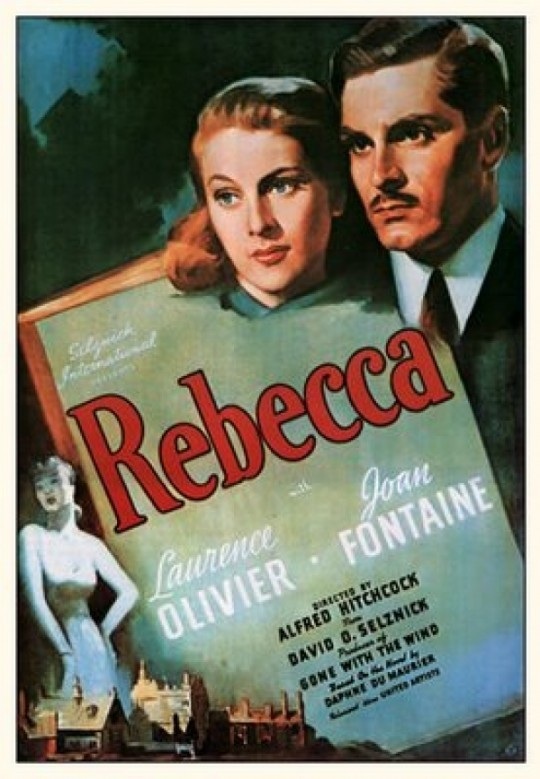 The Nazis invade Prague in 1939, and inventor Axel Bomasch, who is developing armor plating that is essential for Allied defense, attempts to flee to England with his daughter Anna. Anna is captured, however, and taken to a concentration camp, where her captors interrogate her about Bomasch’s location. She refuses to divulge what little information she has and soon becomes friends with Karl Marsen, a teacher imprisoned for his anti-Nazi views. Valentine’s Day is only ten days away and the sweet scent of roses mingled with perfume, chocolate and lust is in the air — except here at Deranged L.A. Crimes. I’m getting a whiff of cordite, mixed with jealousy, rage and madness. Ain’t love grand? The dark side of love will be the topic of February’s posts and I’m going to kick off the month with the tale of a spurned lover and a special box of chocolates. 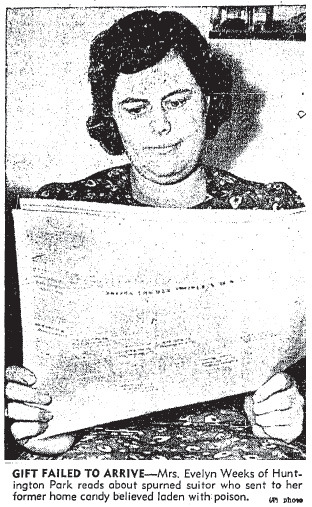 Twenty-two year old newlywed Evelyn Weeks of Huntington Park wasn’t particularly shocked when, on February 16, 1940, she read in a local newspaper that her former suitor, twenty-nine year old Louis Schostek had been busted by the Feds for sending her what he hoped would be her last Valentine’s Day gift ever, a box of poisoned chocolates. It wasn’t the first time that Louis had sent his former flame a box of candy. He had tried to gift her with some special chocolates the previous Christmas, but he didn’t have her California address so he mailed the present to her parents, Mr. & Mrs. Frank Jasa, of St. Edwards, Nebraska–they returned the box unopened. The Jasa’s were well aware of Louis’ obsession with Evelyn, and her fear of him. The couple had dated for two years before Evelyn ended the relationship. Louis wouldn’t throw down his torch and continued to pester his ex with letters that became increasingly threatening. When another box of chocolates arrived at the Jasa manse on February 6th with a note asking the couple to forward it to their daughter, they decided to investigate. Using the family dog as a guinea pig they fed the trusting canine a few of the candies–the poor thing immediately became violently ill. Fortunately the pooch survived and the Jasa’s, realizing that the candy had been tampered with, called the cops. 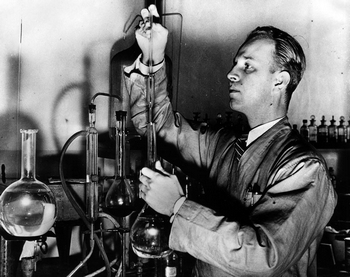 Once the local law realized that Louis had broken a federal statute by sending the poisoned chocolates through the U.S. mail they brought in the FBI.